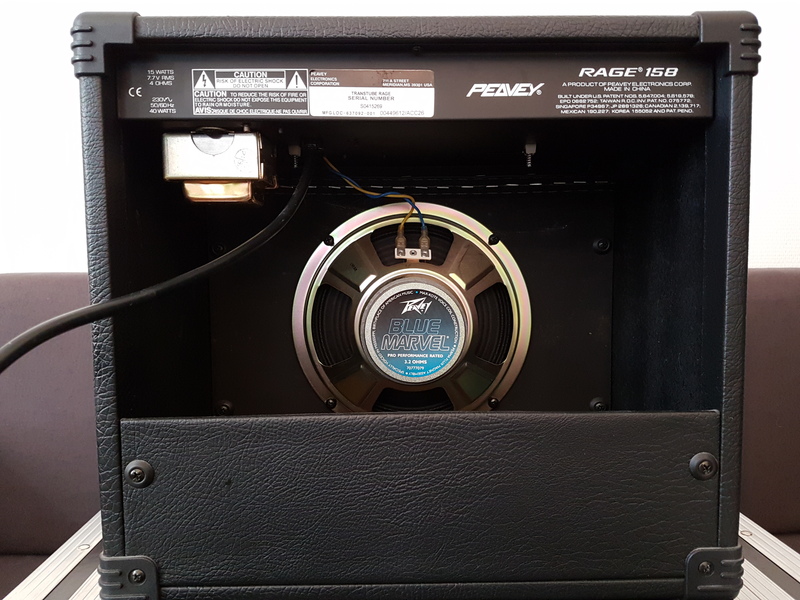 Rage 158, Solid-State Combo Guitar Amp from Peavey in the TransTube (Discontinued) series. i have been playin for about 2 years.im into guns in roses,nirvana,iron maiden,led zeppelin etc. i have a mexican strat 60th anniversary edition right know, althogh i used to play an ibanez gio. I got this amp from my dad when i first started playing i didnt care if it was a crappy amp or if it was cheap i just wanted to start playing. 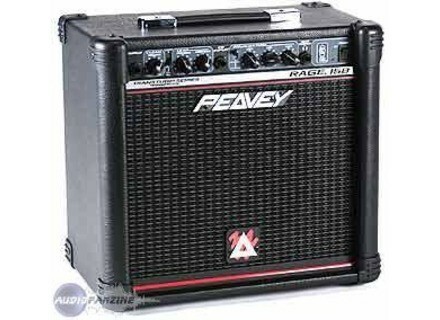 i like this amp because its it gives out alot of sound and the distortion has alot of grunge to it. the only thing i dont like about this amp is that its small i like big durable ones. the quality is alright just a little flimsy. after all its been through its held up pretty well its a good starter amp. i reccomend getting a pettle though if you want to continue using this amp. This little thing is great, it has a nice clean tone. 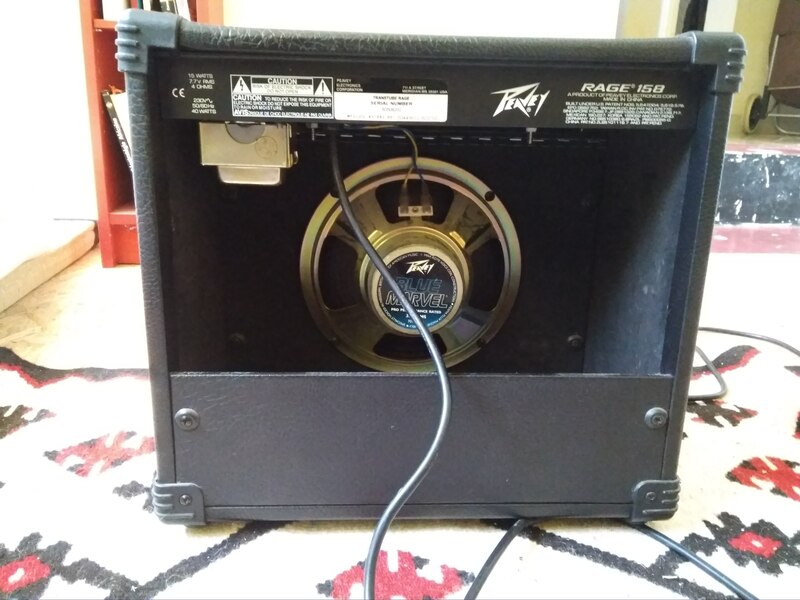 Its pretty loud for a 15W amp. The clean sound is consistant throughout the volume range (sounds great at low or high volumes). It has an ample amount of bass. it also features a 3 band EQ. You can really notice the cutoff and boost range. It also has built in distortion. It has a guitar input (affected by EQ and distortion) It has a second input (not affected by EQ or dist.) you can use for another guitar or some line level output that you might wanna amplify. It has a Vintage/Modern swich. Despite what people say, YOU CAN NOTICE THE DIFFERENCE (people that dont notice it are deaf or not as well ear trained as they'd like to think). The vintage mode brings out the mids and highs, it makes it sound somewhat like a tube amp (especially with good quality pickups). The modern mode is a bit more flat, but it does somewhat boost the lower end. The only things i would have a problem is that the distortion could have been better. The sound of it kinda breaks appart when you crank it up. Its a sturdy unit, you can store cables and such in the back. Its very solid, no unwanted vibrations or rattling at high volumes. 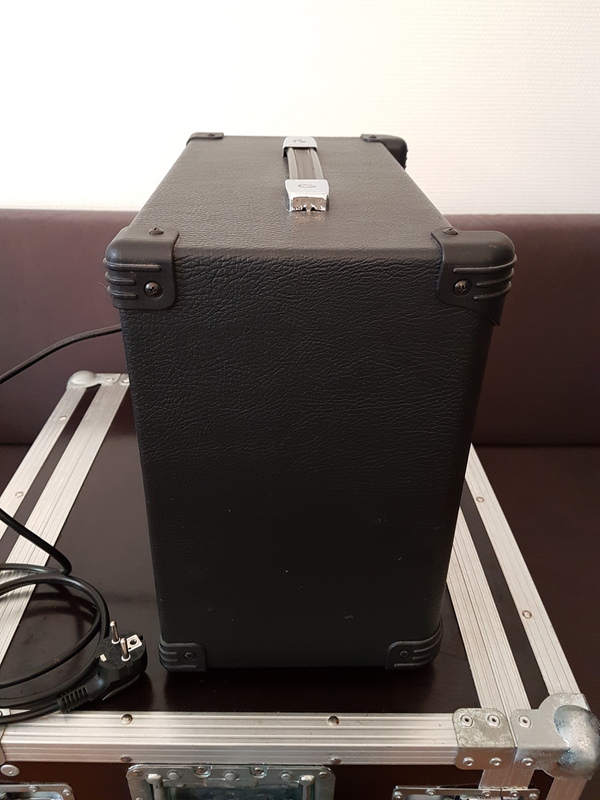 The case brings up the low end of the sound spectrum. This is a great product for its price..! The EQ allows you to create a lot of different sounds. its a good practice amp. You can even jam. youll be heard over the drums and bass. Its not great to perform to an audience unless you play solo, or with someone else. 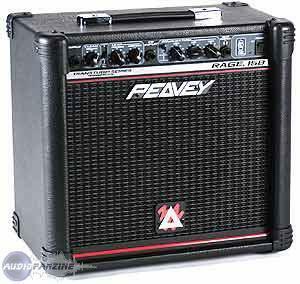 MGR/I Like Dirt's review"Peavey Rage 158"
The nice cruchy distortion, good for any style of rock you could think of, IT IS SO LOUD!!! Hmm, the clean tone isn't really up to much but I can't really think of much else. Not really sure, never left my bedroom really. Good for playing by your self or jamming with just drums but I wouldn't count on it for anything else. Good Construction - Looks like an amp should. 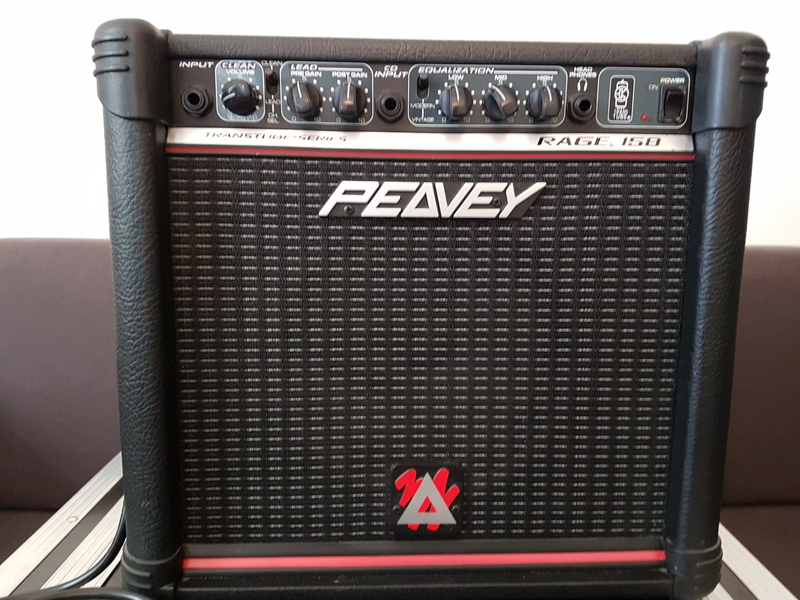 I would recommend this to any one looking for a well made practise amp. enough variation on the clean and dirty channels to make it versatile. Good Headphone line and CD mixing capability.